After a nationwide implementation delay spanning more than 3 years, the 2015 Clean Water Rule became law in late August 2018 in 22 states (including California) as well as the District of Columbia and the U.S. territories. Wetland delineations in all participating states must now follow the 2015 rule. The 2015 rule was published by the U.S. Army Corps of Engineers (Corps) and the Environmental Protection Agency (EPA) in 2015 to more clearly define the scope of aquatic resources that meet the definition of “Waters of the United States” (WOTUS) under the federal Clean Water Act. 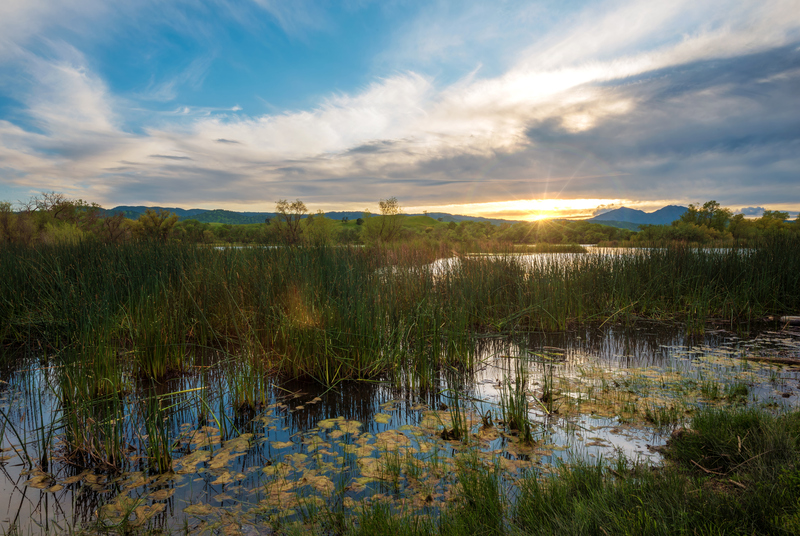 The revised rule provides more definition to three main topics namely, navigable waters, their tributaries, and wetlands adjacent to these waters. Dudek Biologist Tricia Wotipka outlines what you need to know about the 2015 rule now in effect. Previous iterations of WOTUS lacked the formal definition needed to describe tributaries. Thus, all tributaries to a stream were previously regulated without qualification. The 2015 rule more precisely defines tributaries as waters characterized by the presence of physical indicators of flow such as a clearly evident bed and bank with discernible signs of an ordinary high water mark. Tributaries must also contribute flow directly or indirectly to a traditional navigable water, an interstate water, or the territorial seas. Previously, the term “adjacent” was ambiguously defined and its interpretation was subjective. Under the 2015 rule, “adjacent” is defined as waters bordering, contiguous to, or behind berms being adjacent to a WOTUS. The term “neighboring” was never defined in previous WOTUS definitions, creating ambiguity and uncertainty when delineating federal waters on a project site. Under the 2015 rule, the term “neighboring” defines adjacency by evaluating where a “neighboring” feature is located in proximity to the ordinary high water mark of a mapped traditional navigable waterbody or 100-year floodplain, for example. On December 11, 2018 the Corps and EPA issued a revised rule that would, in time, replace the 2015 rule and further limit the scope of waters subject to federal review under the Clean Water Act. This rule is in the very early stages of becoming law and will likely undergo several review cycles before being published in the Federal Register. Once it becomes published, it will be subject to a 60-day review and comment period. After comments are received the Corps and EPA will publish a final rule taking into consideration all comments received. In light of the ongoing government shutdown and the expected controversy that will likely ensue from the significant deviations from the 2015 rule, considerable implementation delays are expected, lasting months, possibly years. For more information, contact Tricia Wotipka. Our regulatory experts continue to track this important legislation and will publish any updates as they become available. Follow us on Twitter and Linked In, and subscribe to our newsletter to ensure that you’re kept up to date on the latest developments.